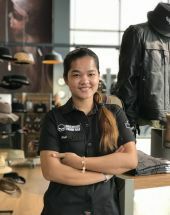 Welcome to Harley-Davidson of Phnom Pehn and to our state of the art facility opposite the airport in Cambodia’s Capital City. Our commitment is to bring you an exceptional customer experience in everything we do. Our Managers and staff are passionate and enthusiastic about our products and services and are equally committed to meeting, and exceeding, customer expectations. From consultation and sales of new and used bikes through a right first time attitude in service and maintenance, we endeavor to help you realize your dreams and express those dreams through customization and personalization of your bike and associated products and services. 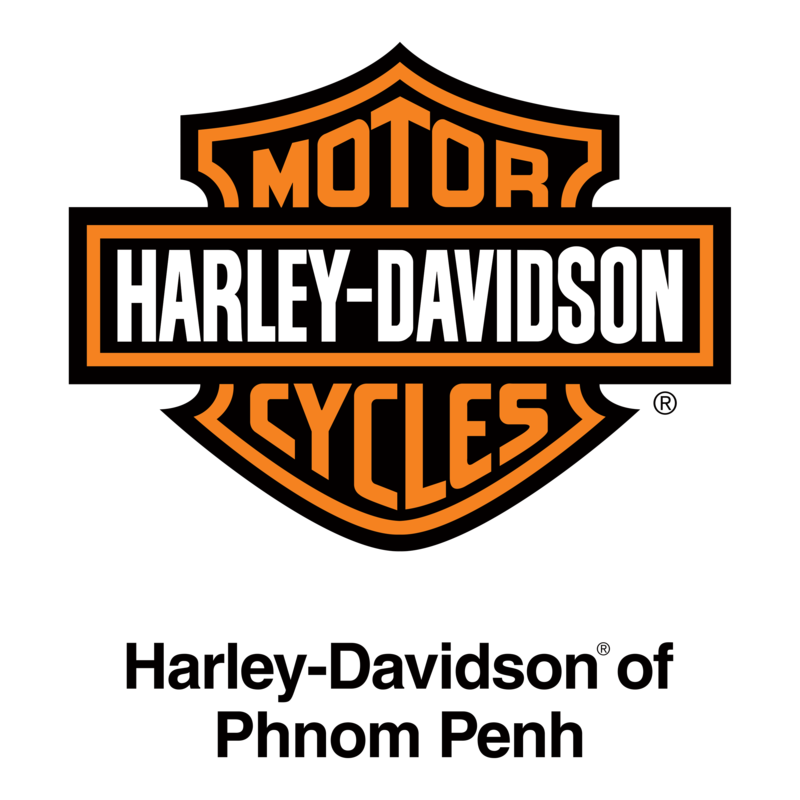 Harley-Davidson of Phnom Pehn, it’s a destination you don’t want to miss. 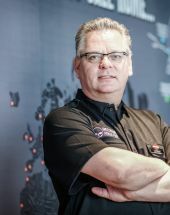 Meet our General Manager, Steve Beattie. A committed motorbike enthusiast, Steve has been riding bikes of all types since his teenage years. Since 2004, he has owned and customized his own Harley-Davidson Road King Classic and built a number of other Harley projects including a Sportster SuperLow Bagger for his daughter. 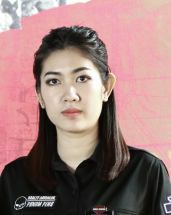 With many years' experience in the motorcycle and automotive industry, both in retail and with manufactures, he has brought his passion, knowledge and enthusiasm to Cambodia and Phnom Penh in particular. Steve is someone who believes in exceeding expectations and going beyond the norm to satisfy customers. Steve is based at the Harley-Davidson dealership on Russian Boulevard opposite the airport entrance. Call in and meet him. You will be made very welcome. Meet our Sales Manager, Clint Peters. Clint has a real passion and love for everything Harley-Davidson. 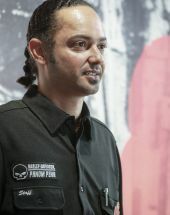 He has trained through an authorized Harley-Davidson program in the USA 8 years ago and was the first non-American accepted into the program. 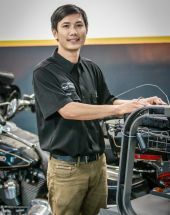 He has since worked in various capacities at Harley-Davidson Dealerships in a several countries around the world sharing his knowledge and passion with staff and fellow Harley-Davidson owners. 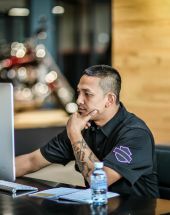 This same energy and enthusiasm is now brought to Harley-Davidson Phnom Penh. Clint is at the Harley-Davidson Dealership on Russian Blvd. opposite the airport entrance. Call him or come in and meet him. He is always willing to assist you where ever he can. Our motorcycles are the vehicles that our riders use to discover the power, the passion and the people that define Harley-Davidson. We endeavour to help you realize your dreams! Harley-Davidson® has been selling clothing since 1912 for both on road and off road use. Today, a stylish array of clothing designed by motorcyclists together with an extensive range of merchandise and collectibles is available. We are here to help you pick them. Our Parts & Accessories meet the same tough standard and testing that our motorcycles meet. As the majority of our riders and enthusiasts prefer to customize and personalize their bikes. We provide a vast array of products and services to ensure you can deliver on your dreams.